The above photo is a sample of the costumes we have created. The costumes and makeup was constructed by myself and my friends. This is 7 years of costume making and makeup art. that I just had to join in, But how to do this? Springdale Arkansas but I was late arriving at the con that day and the competition Was over, so no competing that day. having , I decided to change into the costume anyway. 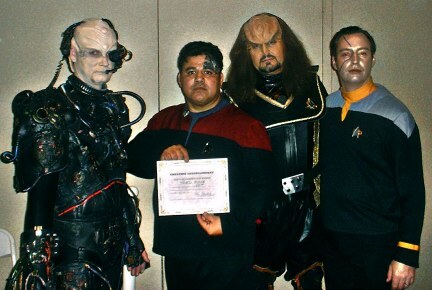 As I was changing from myself to the escaped Klingon prisoner Q'Ulor, a man holding what appeared to be a very expensive camera ask if he could snap a few pictures as I applied the makeup, I replied with a very curious yes. 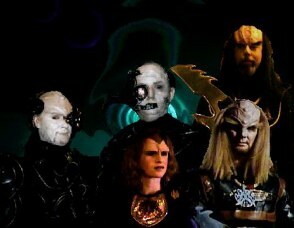 assimilated Klingon, I feel the journey has just begun.